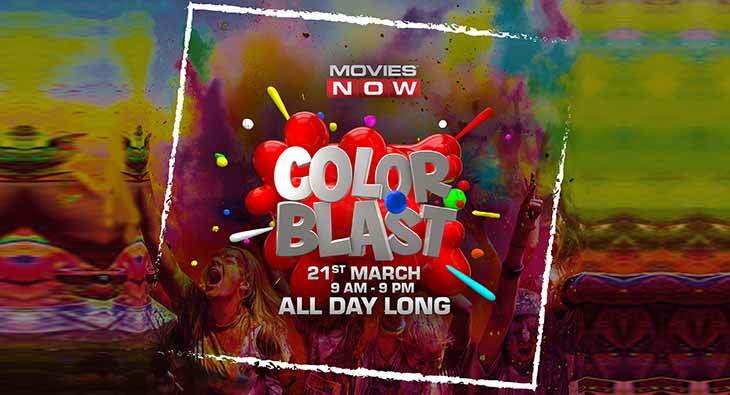 Movies Now has announced their vibrant line up of the biggest fantasy and animation films with a special property titled ‘Colour Blast’, to celebrate Holi. The movie marathon on March 21, 2019, 9.30 am onwards, will complement the fun, festive spirit with movies engaging viewers across age groups, as they assemble with their families and friends to celebrate the day. Start the day by stepping through the looking glass to join Alice and her friends on their adventurous wild-ride to the whimsical wonderland, in ‘Alice Through the Looking Glass’; followed by the rib-tickling comedy of ‘The Mask’ – the story of a man who suddenly discovers more power than he can handle. While the beloved ‘Minions’ make the afternoon bright and yellow, ‘Moana’ then takes viewers on an adventure to the cool blue waters of the Pacific. Catch the heart-warming tale of the old man and his lifelong dream in ‘Up’, before you end the day with the blockbuster musical fantasy of ‘Frozen’. With this stellar line- up of some of Hollywood’s most revered animation and fantasy blockbusters, Movies Now is set to add more colour and spirit to the celebrations. Tune in to this unmatched Holi celebration on TV with ‘Colour Blast’ on Movies Now all through this Thursday, March 21, 9.30 am onwards!